Did you know that acupuncture could be very efficient for treatment of several eyedisorders? 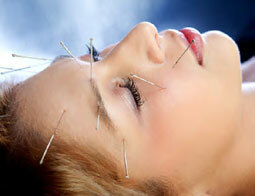 In general acupuncture is used with good results on several disorders regarding eyes and vision. For example AMD (age-related macula-degeneration), dry eyes, retina pigmentose, optical sight dystrophia and glaukom etc. We have also experienced that other ailments with eyes and sight very luckily can be treated with acupuncture and give great response for the patients that receive the certain treatment. In cases of AMD there is a congestion of calcium and cholesterol at the retina that gives a reduced circulation in the cells. Research on acupuncture shows that stimulus with acupuncture affects the circulation significantly. And by increased circulation within the eyes, it will provide good growth conditions for the cells and prevent it from breaking down and die. Through the last years we have gained a lot of experience by treating several eyedisorders with acupuncture, but we have also been traveling around the world and participated on courses and lessons, disputed in hospitals in China and been attendants on many seminars with acupuncture treatment and eye disorders as main topics. It is very important for us to emphasize that we are not doctors. We do not diagnose. And we encourage our patients to visit a doctor for diagnostics before coming to us and receive treatment with acupuncture. 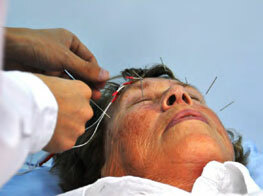 How exactly is eye disorders being treated with acupuncture? For eyedisorders that are chronic it will demand an intensive treatment, especially at startup. Approximately 14 days are required for adequate treatment, which means about two sessions every day. Naturally this will vary depending on the patient, needs, personal issues, locations, economy and health condition in general. At first the patient receive a treatment that last for about 45-60 minutes before setting up a break. Part two will initiate shortly after the break and last for about the same amount of time. 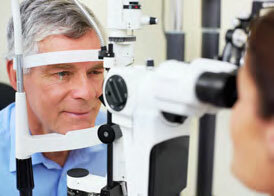 By treating several eye disorders we will offer additional supportive treatment. This could be nutritionanalysis and nutritioncounseling, massage, correction of neck- and shoulders etc. but of course also set up a training program for the patient, a program for exercise the eyes and the muscular areas around the eyes. In advance of every treatment sessions the therapist make an individual consideration and seeks to map the patients needs and special circumstances that is unique for every patient. Both therapist and patient works the plan and find agreement together in order to maintain predictability and make the room and treatment filled with a calm atmosphere. There will be used different acupuncture techniques and programs. Common to them is that they all is based on high quality medical standard combined with ancient traditions, put together in a modern healthframe and used by updated medical ethics with the therapist. Currently, the main acupuncture technique we use to treat different eye disorders, is a combination of knowledge and research from our collaboration hospital in Beijing, China, combined with techniques from the Taiwanese doctor Tan, the Chinese professor Master Tung and the Danish-developed system, AcuNova. Used combined it makes very good recoveryresults for a lot of our patients.